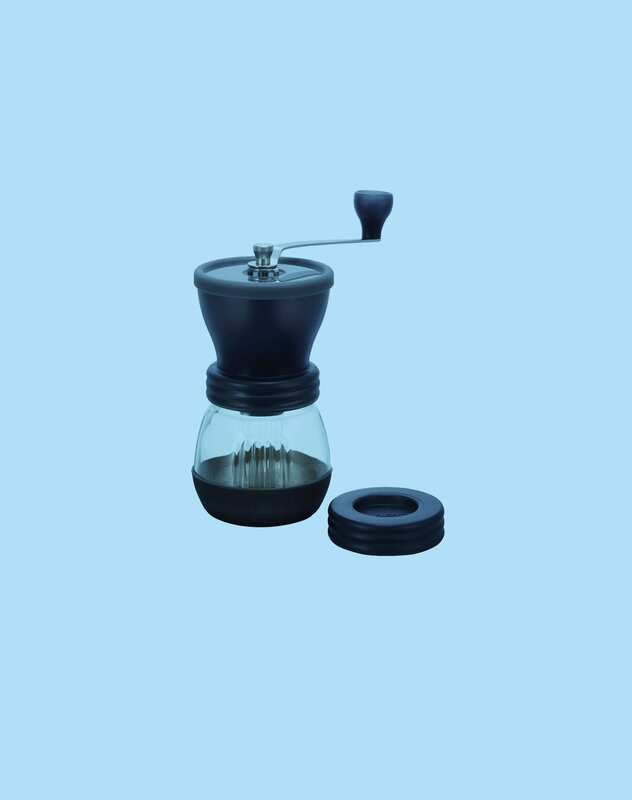 Manually operated coffee mill from Japanese Hario with ceramic blades. 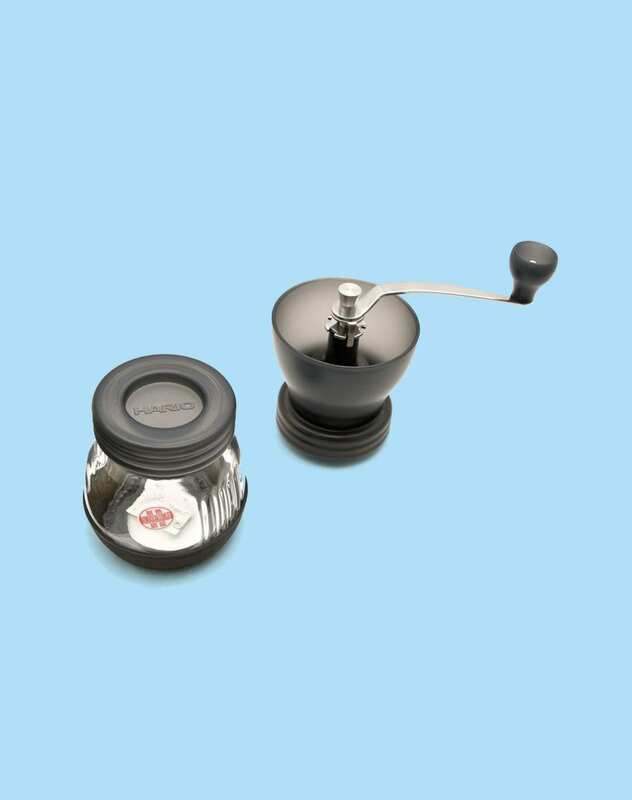 All metal parts are produced in stainless steel and the ceramic knives gives you a uniformed grinding that’s perfect for any pour over or filter situation. When you grind coffee by hand it produces less heat, than most electric grinders and the aromas are better preserved. There is space for 100 g of coffee in the grinder.